Landslides are common and widespread in many parts of the world. They can happen on hilly slopes or mountainous terrain given certain conditions in topography and material strengths in soil and bedrock for inducing the gravitational slope movement. Landslides also commonly occur during other major natural hazards, such as earthquakes, typhoons, heavy rains, volcanic eruptions, and tsunami, thus easily create a very dangerous situation of multiple hazards happening at the same time. Landslides have caused extensive infrastructure damage and threatened the human life through the centuries; densely populated modern societies are particularly vulnerable to the landside hazard. As one of the most tectonically active regions, Southeast Asian countries suffered from landslide hazards in the past long history. Build a platform to share and discuss the experiences regarding to landslide investigations and hazards evaluation is necessary. 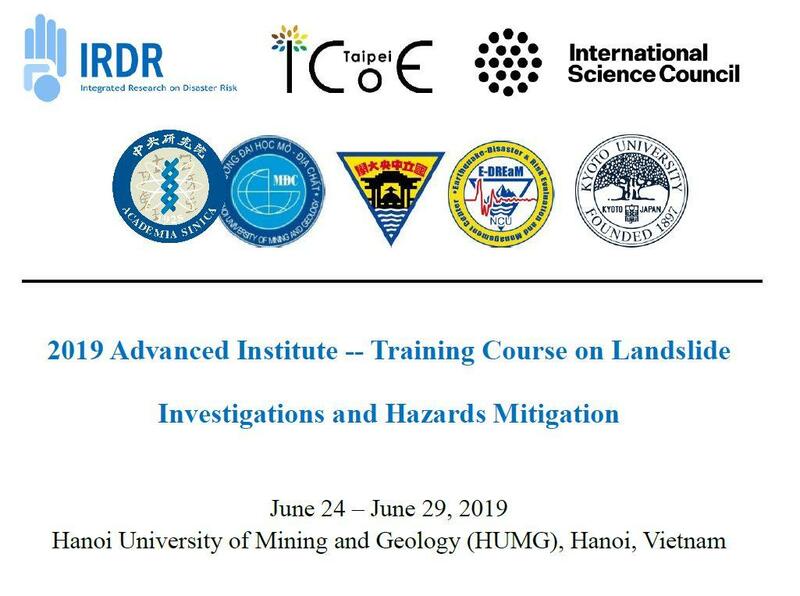 The training course, which is supported by ICoE-Taipei, Landslide Research teams in National Central University and Academia Sinica (LRT-NCU and LRT-AS), intend to provide a short training course which comprises a series of comprehensive lectures, practices and field trip. We hope this training course will provide fundamental information and knowledge about landslides for future mitigation of hazards and thus reducing human casualties and property losses for societies.